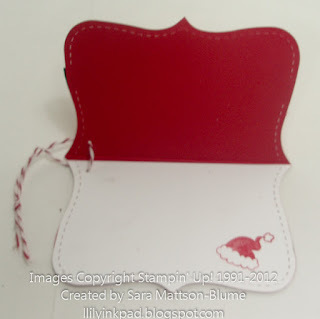 Lily's Ink Pad: Santa Brings Fun Gifts! To make the buckle, I just cut out the middle of the Ticket Punch with the Itty Bitty Punch and wove paper inside. I even found I didn't need a buckle middle to weave around--it looks as if it was there since the paper covers it. Such a cute tag! 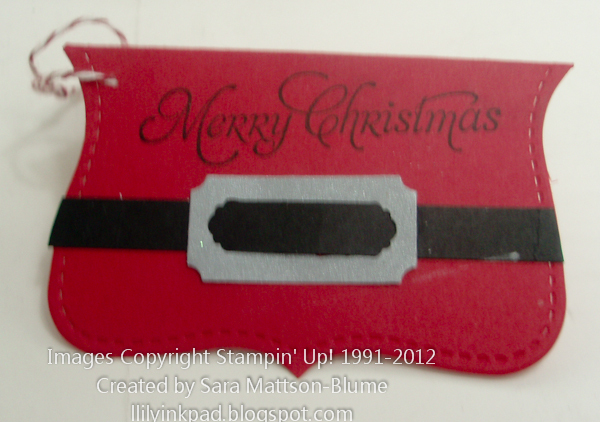 I love how you made the belt buckle -- really clever! Adorable! And another great use for the Top Note die. Adorable! Clever thinking on the buckle!